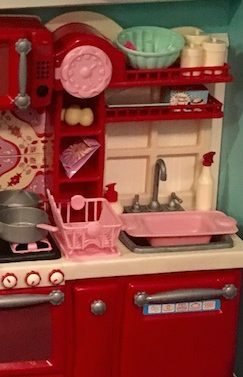 We are back with some updates from the Birthday Dollhouse that we helped my sister build for my niece’s birthday! 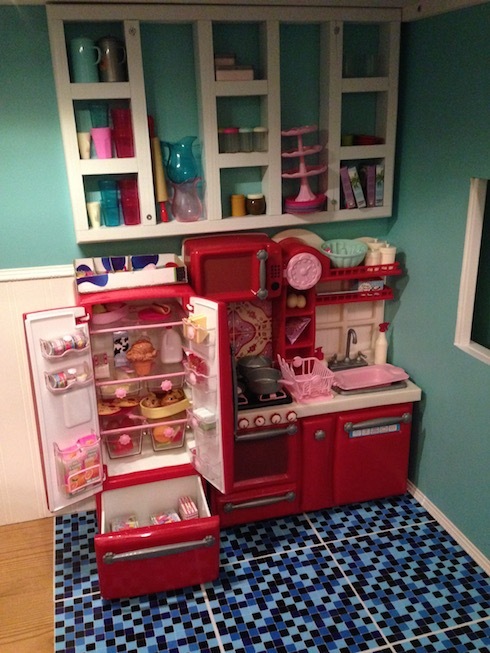 Once the dollhouse was complete, it was time to add the furnishings. 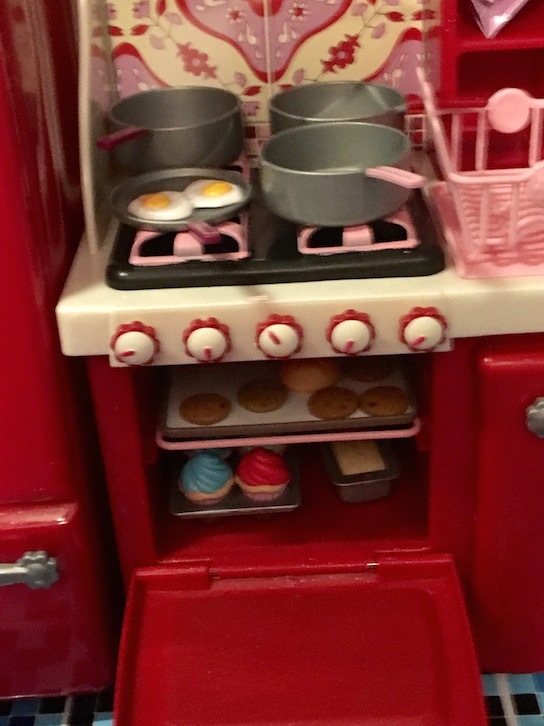 My sister purchased the Our Generation kitchen set. 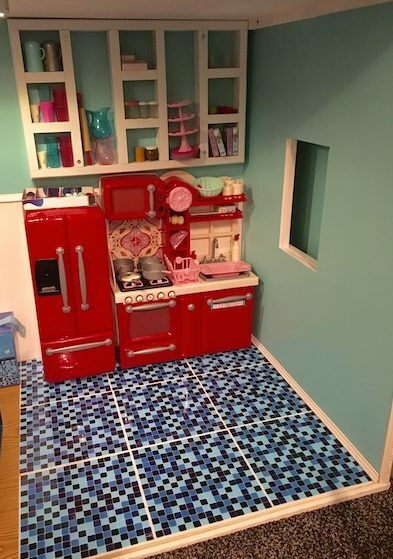 This kitchen is made entirely out of plastic. 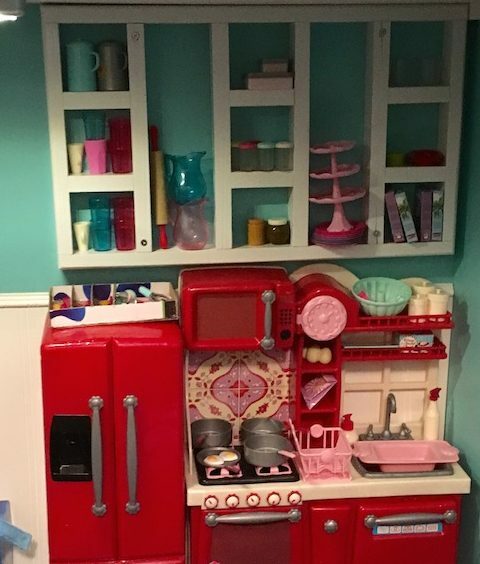 At first I wasn’t sold on a red kitchen, but when she put it in the house, I fell in love! It is so cute against the teal walls! And she found the perfect spot to put the little shelf that she found at the thrift store. It fits perfectly above the kitchen! Awesome! The fridge is my favourite. It is a separate piece from the rest of the kitchen. 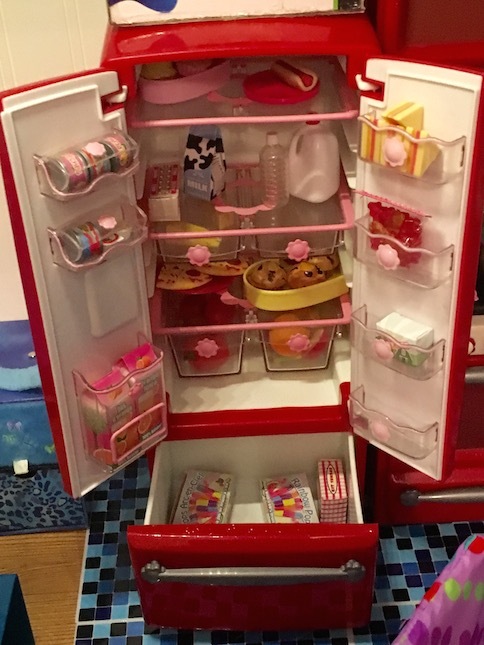 It has double doors with a drawer freezer. 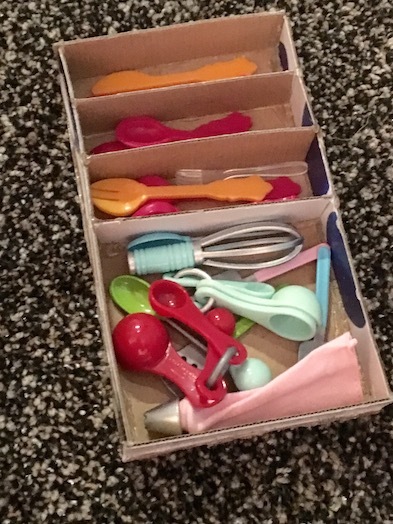 There is plenty of space for all of the food accessories! 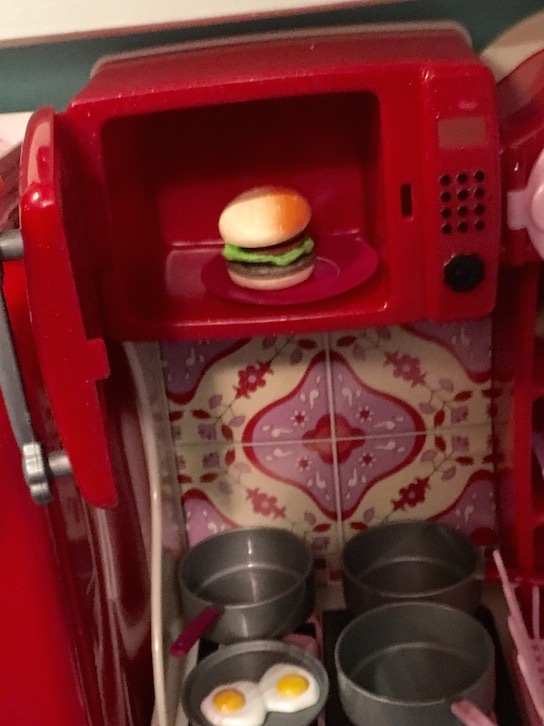 I am serious when I say that you get your money’s worth in doll food with this set! There is a ton of doll sized goodness in there! I love that everything opens, and all of the knobs turn. 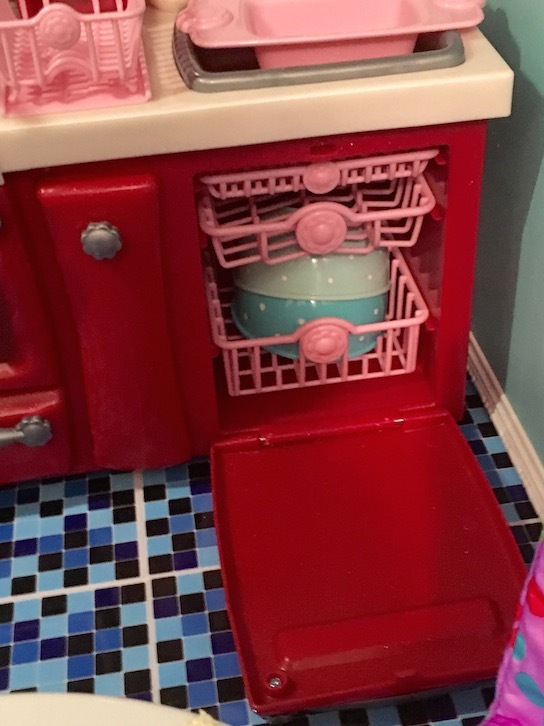 This kitchen is very interactive. 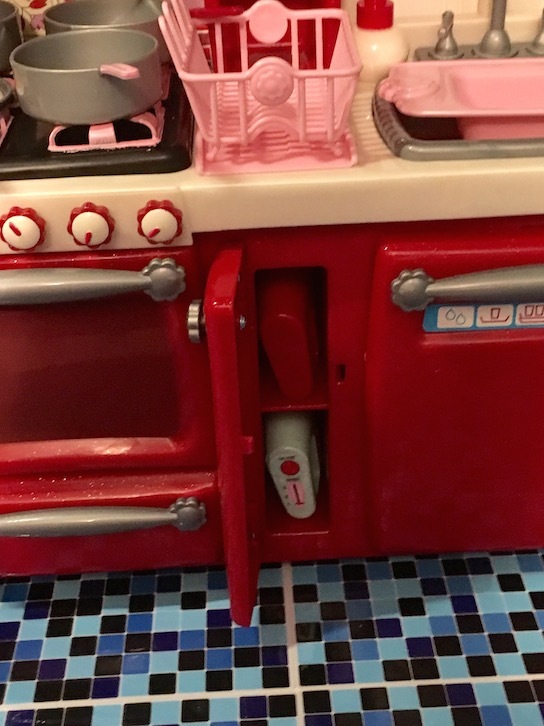 It is also very easy to open and close the doors. It is well made, and well thought out. Under the oven door is the cookie sheet/baking pan storage drawer. Next to the stove is this little cupboard. 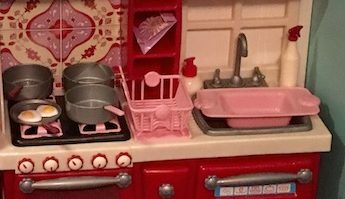 Some of the dishes that come with this set are doubles of the Our Generation baking set. My niece already had that set, but that’s okay. At least they are in different colours, so they are not exactly the same. Above the stove there is a little microwave. This little cubby behind the clock was kind of a big deal to the girls. It’s like a secret hiding spot for spies! they said. ❤ LOL! This is the cooktop and sink area. 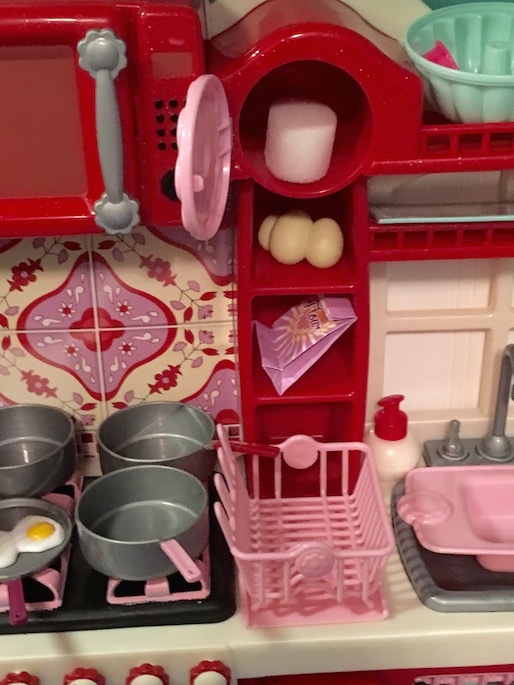 It comes with a dish rack and some pots and pans as well as some cleaning supplies. 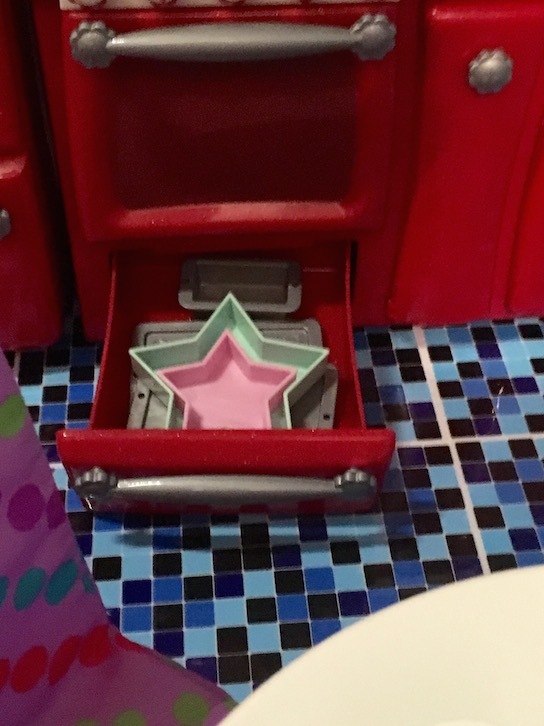 The backsplash is a sticker. On the very far side of the kitchen, right at the top are a couple of shelves. There is also a window behind the sink, but there isn’t any background, just a window frame. I might suggest that my sister print out an outside scene for it. 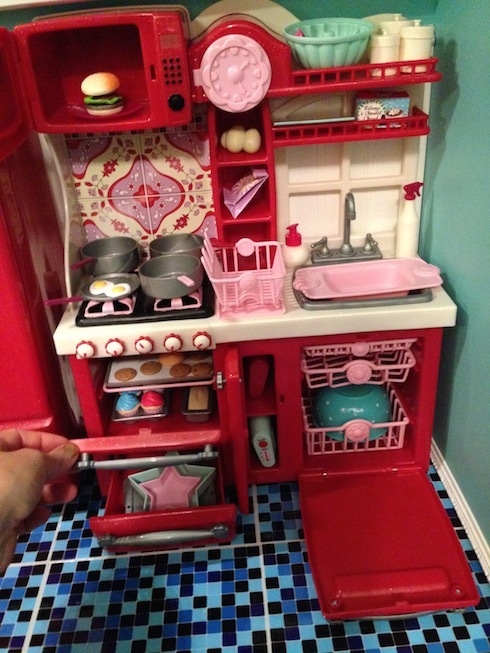 All in all, we think that this little kitchen is great. It is well priced for everything that you get, and I can see that it will last for years to come. LOLOL! Spies are pretty cool. 😛 😉 😉 And I love this set! So much so that I have it, actually. ;P You did an amazing review on it! Yeah, the whole spy thing is pretty big these days. 🙂 I don’t think that the girls know what an actual spy does, they are just obsessed with being secretive and wearing black clothing. Oh and gadgets, gadgets are cool. LOL! Thank you! 🙂 I’m glad that you liked it!